"I am super, super disappointed. Everything went so well in England (at the Tour de Yorkshire). Day-by-day I was getting stronger, which made me think I could do a good Giro." Klaas Lodewyck will not be able to start the Giro d'Italia for the BMC Racing Team Saturday due to lingering concerns about his heart, Chief Medical Officer Dr. Max Testa announced Thursday. "This came to me as a big surprise," Lodewyck said. "I am super, super disappointed. Everything went so well in England (at the Tour de Yorkshire). Day-by-day I was getting stronger, which made me think I could do a good Giro." Lodewyck had surgery performed on his heart last September. He returned to competition to start the season but was sidelined for much of the spring after breaking his right collarbone for the second time in eight months at the Dubai Tour in February. Dr. Testa said Lodewyck underwent testing in Belgium Wednesday as a routine follow up to the heart procedure. "Based on the findings, he was recommended by his treating cardiologist to hold off on participating in competitions that are three weeks long," Dr. Testa said. "Klaas will be re-tested after a three-week period of relative rest, during which he will be allowed to train at mild to moderate intensity. Then he will be re-evaluated and decisions on his return to competition will be made. The BMC medical staff is in full agreement with the decision and supportive of the plan that is in Klaas's best interests." 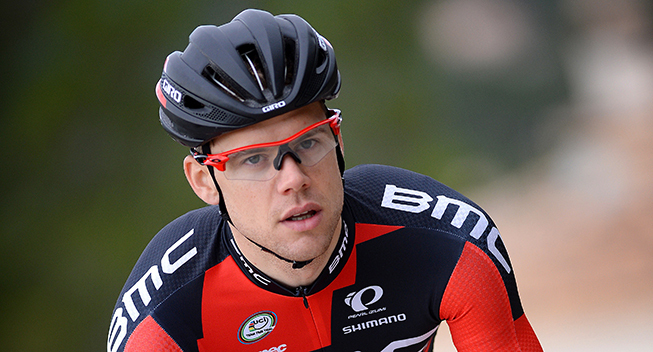 Replacing Lodewyck in the BMC Racing Team's line-up for the Giro will be Amaël Moinard, who finished the Tour de Romandie Sunday. He was vacationing with his family in France when he received the call to make the trip to Italy. "It is going to be a bit hard the first days for me for sure," Moinard said. "But I will try to look for some good opportunities on some stages. I hope I have the chance to make a nice result." Moinard will be making his third start at the Giro d'Italia. A stage winner at the Tour du Haut Var last year and the 2010 king of the mountains classification winner at Paris-Nice, Moinard last competed in the Giro in 2006 and 2007 editions.